Tuesday, February 13, 2018 by Isabelle Z. If you had any doubts about the culture of corruption at the CDC, a look at some internal correspondence regarding vaccine studies should clear things up for you. This email correspondence, which is the subject of a recent exposé by Vera Sharav for the World Mercury Project, shows just how far officials at the CDC will go to shield vaccines and their recommended childhood vaccination schedule. According to the emails, their deception extends to outsourcing epidemiological studies that are pretty irrelevant to the current vaccine exposure of American children but awfully convenient for furthering their cause. The CDC has often used “The Danish Studies” to support their claim that the mercury-based preservative thimerosal used in vaccines does not have a statistically significant link to autism, although it remains a very controversial study. Their choice of Denmark as a population study comparator to the U.S. for vaccine risks was a very deliberate one. According to an email exchange, several of the doctors involved in the studies acknowledged that the vaccination schedule in the U.S. exposes American babies to far higher thimerosal doses than European babies. In fact, the Danish babies used in the study got 75 percent less thimerosal than American babies. In Denmark, the only childhood vaccine given to babies younger than five months was monovalent pertussis, while American children were given multiple doses of pertussis, diphtheria, polio, tetanus, and hepatitis B vaccines by that age. This means the Danish studies simply cannot be compared to American children and have no value in determining how risky thimerosal vaccines are – it is a case of comparing apples to oranges, if you will. Apparently, they did find a way, however. In the study, one of the underhanded tactics used to diminish the risk included changing the cut-off age to eliminate the children who were later diagnosed with autism. Some of the other tactics uncovered by an analysis included inconsistent inclusion criteria, inconsistent diagnostic criteria and the omission or deletion of data. Verstraeten left the CDC to work for vaccine maker GlaxoSmithKline shortly after the revised findings were released. In a 2014 review, independent scientists who took a closer look at the six studies the CDC often cites as evidence supporting the safety of vaccines was published in the journal Biomed Research International. In the study, researchers listed 165 other studies that refute the notion that thimerosal is safe. Sixteen of the studies looked specifically at the effects thimerosal can have on infants and children, finding deaths, malformations, neurodevelopmental disorders including autism, developmental delays and allergic reactions. This type of corruption isn’t a one-off incident that happened years ago; in fact, this behavior continues to this day. Just last month, CDC director Brenda Fitzgerald was forced to resign after it was discovered that she owns shares in vaccine manufacturer Merck, erasing any lingering doubts anyone might have had about whether or not the government agency has a vested interest in promoting vaccines. 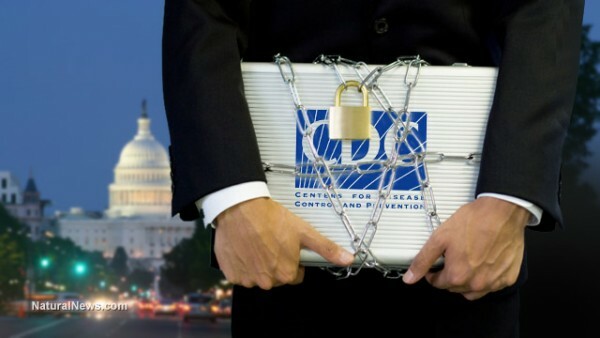 Follow more news about the corruption of the CDC at CDC.news.